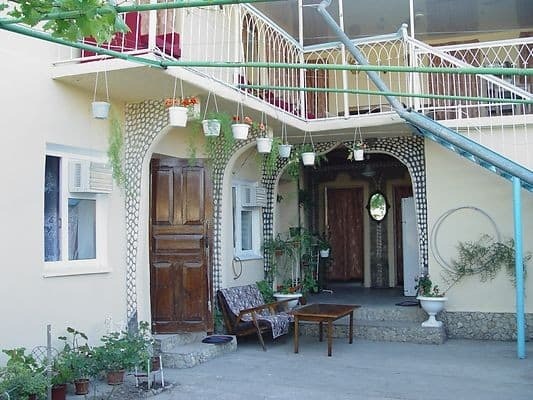 Our family boarding house is located in the Crimea, on the beach of the Sea of Azov, a full boarding house, all conditions for health improvement of children. 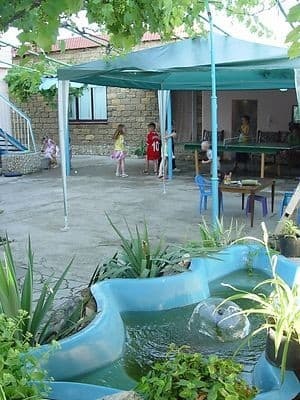 Children bath from the 1st of June till the 15th of September. 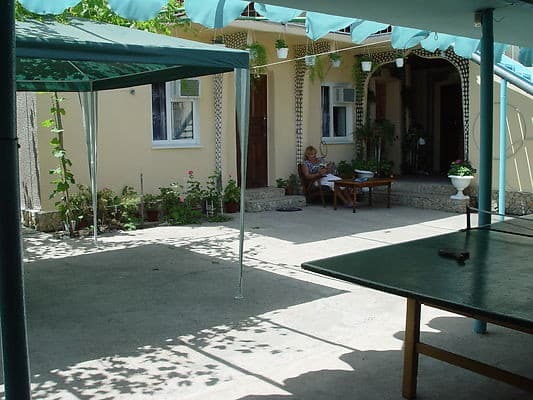 We meet our guests at the railway station near the carriage, and you rest at our place as at home. 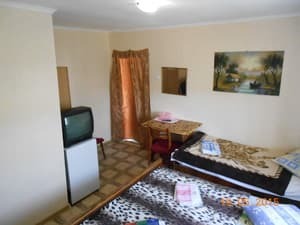 Description of the room: Rooms; With all amenities - toilet, shower, sink, air conditioning, refrigerator, TV, wardrobe, table, chairs, beds, dishes, bed linen, hand towel, bedspread for the beach. 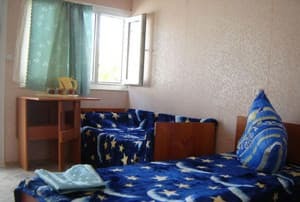 Description of the room: Spacious double room with all amenities. Прекрасное расположение и близость к морю. Children of any age are acceptable, we give extra places. 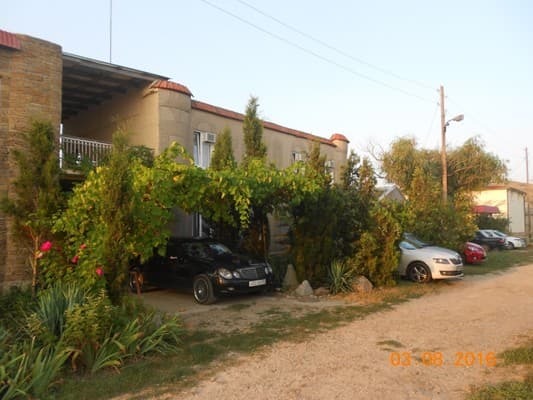 It is situated on the Eastern beach of the Crimea at the Sea of Azov in a small village Yurkino in 50 metres from the sand beach. Kerch is in 15 km. By air to Simpheropol, then to Kerch. By railway - In Kerch we meet you at the railway station and at the bus terminal. By railway to Kerch and to Feodosia, we meet you at the railway station.